Although Hollywood's track record with video game adaptations has been less than impressive over the years (see Super Mario Bros. for proof) we have to admit we were a little excited about Paul W. S. Anderson's proposed Castlevania movie. Announced back in 2005, the film was due to begin production in 2006 but things started to go amiss and Resident Evil director Anderson (who also penned the screenplay) handed over directorial duties to Sylvain White. Things were due to get started again in 2008, but there's been no news since. Sources close to horror website Bloody-Disgusting.com have now confirmed that the film is officially dead, having failed to claw its way out of development hell. 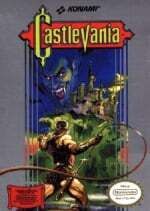 The Castlevania series has a long and proud connection with Nintendo consoles, so instead of mourning the loss of what had the potential to be a pretty good popcorn flick, why not delve into the history books and check out Castlevania's Nintendo History with us? This movie would have sucked. No pun intended. I suppose making this kind of film is like getting blood from a stone. They were batty to even try, anyway. I never had high hopes for this anyway. I would have liked to have seen how it played out as a movie, as I thought this would be one of the better series a film could be made from but looking back at how good previous video game films were, I lowered my hopes. I'm personally thrilled as I saw this turning into a disaster. I'm not sure why so many of these movie insiders feel the inherent need to turn video games into movies. ah well. it's probably for the best. There was going to be a Castlevainia movie? First I heard of it. Picking on the "Super Mario Bros movie"? It's a good movie fun to watch & Yoshie's cute. I even have a copy of the DVD. @Egg Master - Yes, the RE films have been terrible, but the sad fact is they made money. I actually kinda liked the first RE movie, it was entertaining and that corridor scene pretty stand-out. 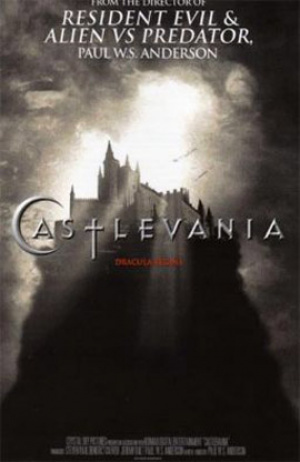 As for this, not a huge Castlevania fan, but it's probably for the better so another game is spared a crappy adaptation. I like how they put "From the director of Resident Evil & Alien Vs Predator" on the teaser poster, is that supposed to instill faith in expectant fans? I am going to go out on a limb and say that's a good thing. I may be in the minority but I was kind of looking forward to this. I'm kind of happy, yet kind of sad. Happy because I knew this was going to be bad, especially when the guy behind Stomp the Yard was directing it. But I'm kind of sad because it would have been slightly cool to see my favorite franchise on the screen. lol I have it on VHS.